Dairycon 2007 Exclusive, Part One! Click to download the full-size Tech Spec! Decades previous, a small unknown company named IGA began what would someday shatter the world. Utilising technology unknown, they created a small armada of shape-changing robots. Immediately, they all crossed the border and eventually fled to the Netherlands, where many of them still reside today. But one Transformer stayed. With his heart so pure, and his love of country so grand, he became the only MexiCon to stay in Mexico. Formerly known as IGA agent Pinto Wagon, he took up the Taco of Leadership and became Nachos BelGrande, Leader of the MexiCons. Utilises a variety of weapons from his homeland to combat evil, including the Taco of Leadership, the Flag of Our Fathers, the Hat of Siesta, and the disk of Montesuma's Revenge. Support struts in legs equipped with reinforced hydraulics, allowing him the unprecedented ability to jump over most obstacles with ease. Able to burn even the most low-grade tequilla as fuel. Leads only himself at the moment. Longs to rejoin his comrades in other countries, but his love of the peace and quiet of his HomeLand keeps him limited to the Mexican Outback, and other former spanish territories. For those who wonder about all the in-jokes: IGA marketed vintage tfs in Mexico in the mid-80's. Lead paint, bad stickers, wrong colors, you name it. Failing in their market, most were shipped across the pond, which is why you find them in places like the Netherlands today. 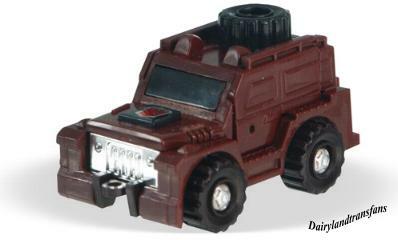 'Mexican Outback' was Brawn in similar colors. The prototype Nachos BelGrande figure was actually closer to that color scheme, but was changed for production release. Only 3 of the Mexican Outback-colored MexiCon exist. Only 30 MexiCons were produced. This was released primarily as the Autocon net-exclusive, with a few pieces raffled off as prizes at the Dairycon convention. 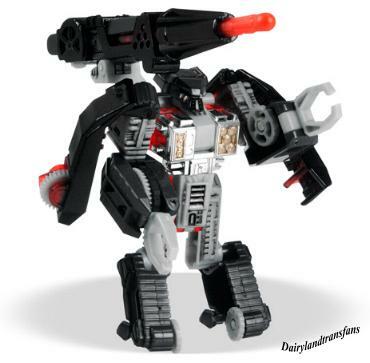 The original joke started as Mexican Tracks, which evolved into Mexican Targetmaster Wheelie, (which was actually made into an Autocon Exclusive later on) which eventually spawned what is, by far, my favoite page about Mexican Diaclone TFs. So now, only 2 questions remain: who got the special Taco of Leadership, and what does the un-named mystery accessory do? Quote: "I am NOT an oxymoron!" Used to be a high-ranking officer in the Cybertonian Forces, until an incident with energon-overfueling led to his discharge. Now, will work for anyone for a beaker of high-grade fuel. A mercenary in practice. Washout works for the highest bidder...if they can meet his price. Washout is a formidable weapon, both in body and mind. Belives a mission's success lies in its planning. 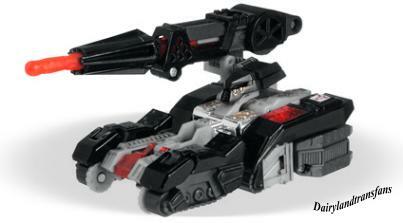 Transforms into an armored tank. Can fire photon missles with pinpoint accuracy. Remembers battles long past and crafts future strategy accordingly. A relentless fighter. Few can withstand the onslaught. Getting sloshed on a semi-regular basis is Washout's only true weakness. 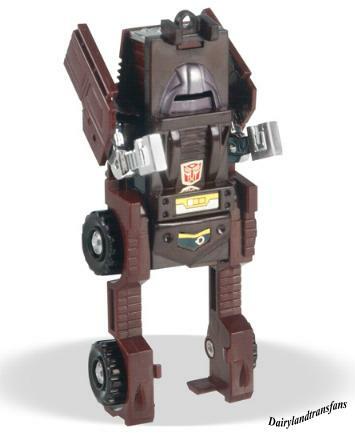 If he can lay off the energon, he can usually focus on the task at hand. Recurring processor glitch sometimes robs him of his short-term memory.